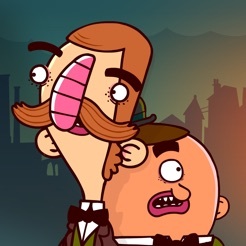 We sit down to discuss Rumpus’ ruckus of an adventure game, Bertram Fiddle, with one of its ingenues creators and the fictional detective himself! Check out our review of A Bleaker Predicklement here! 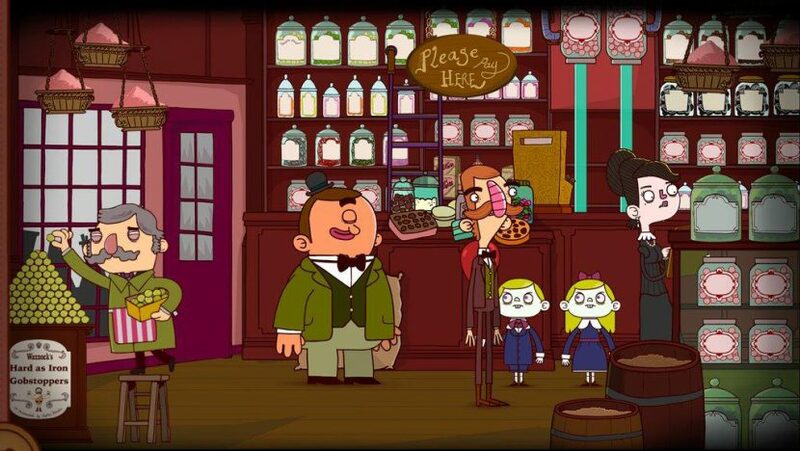 Appolicious: Allow us to introduce our most esteemed guest – the world famous detective, Bertram Fiddle! Bertram: Hello, Bertram here. Happy to answer your questions, although I may have to dash off should an Adventure present itself unexpectedly. Appolicious: When we last left you, Bertram, you were both triumphant and aghast with Geoff the Murderer still at large. Can you give us an idea how Britain’s finest detective with a cyclops is up to? Rumor is – you’ve been framed for murder! BF: Well, I don’t want to give any spoilers away, but my fortunes took a turn for the worse after A Dreadly Business. Geoff the Murderer eluded me and, as I was unable to secure another Adventure to pay the bills (Lord Arthwipe still hasn’t rewarded me for retrieving his photomographs, you know!) I was forced, by necessity and my wife, to take a temporary job at the Dulsworth Soap Factory as a Telegramatical Sales Advisor. But I have a feeling that a greater Adventure awaits me. 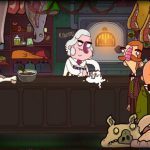 Appolicious: What originally inspired The Adventures of Bertram Fiddle? Were there any course corrections before setting sail? BF: I’ve always been drawn to Adventure. Ever since I was a young whippersnapper. I take my inspiration from other great Adventurers and Detectives. There are so many knocking around in the Victorian Era. I’d also quite like to translate my exploits into book form or, perhaps, invent a way to watch myself on a box of moving pictures. Appolicious: In all seriousness – how does the team at Rumpus Entertainment balance comedy with intrigue and crime solving? Seb: Bertram has just received a telegram from Emmelina and has left the building. He says “Toodle-oo.” I’ll anwswer the questions from now on. SB: The comedy always comes first. We find it very hard to be serious. Towards the beginning of the project I do a lot of research into Victorian Stories, both true and fictional and look at old photos, inventions of the era etc. and then I work out the overall themes. The Adventures of Bertram Fiddle was meant to be a 3 part series, but we’ve combined 2 and 3 into A Bleaker Predicklement. However, the story arc is the same. Part 1 takes place in the rich, well-off area, Part 2 is in the middle-class and shopping district and Part 3 takes you to the Victorian Slums. It is your classic, Victorian descent into madness. I work out what scenes fit into each section and then make the characters fit. Although sometimes a character will come first and I’ll find a way to give Bertram a detour so that it all makes sense. The comedy often springs from the way Bertram interacts with his environment or characters he meets so it naturally all blends with the story and the fact Bertram is so clueless helps with the mystery. Every character he meets is a potential suspect, and even if it turns out they aren’t actually Geoff the Murderer each one has done something despicable in the past. 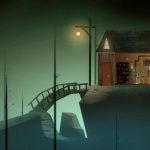 Appolicious: How do you keep the player entranced with mind-tickling puzzles without halting the pacing? SB: Because I come from an animation background I wanted to keep the game as free-flowing as possible. I wanted each puzzle to feel quite natural and seem as if they really would occur in Bertram’s world. In Episode 1 [A Dreadly Business] I think they were a bit too simple. When I watched players reactions they weren’t getting those proper head-scratching moments that make solving a puzzle so rewarding, so in A Bleaker Predicklement I’ve tried to make them a bit more complicated. If you use Bertram’s logic, or listen to Gavin’s sayings the puzzles and solutions should all make perfect sense! Appolicious: What lessons did Rumpus absorb to their brain-y bits from Bertram’s opening act? SB: Episode 1 didn’t sell as many copies as we’d hoped and a lot of the feedback was that it was a bit short. So A Bleaker Predicklement is far more EPIC! There is also more options as to where to go and who to talk to. And, without giving too much away, a chance to play as Gavin on his own. Which he relishes! Appolicious: What sort of design challenges rear their ugly, giant-nosed heads when crafting an adventure for both mobile and PC simultaneously? SB: Because we kept the interface deliberately as unobtrusive as possible it means that it works across both platforms without too much difficulty. The main focus has always been on the characters and the story. The biggest problem we had was memory size. Because this Adventure is so much bigger we had to optimise the mobile version quite a bit so it could fit on player’s devices. 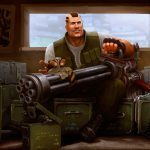 Appolicious: Why do you think classic adventure games are rising from their supposed graves? SB: There is certainly a plethora of them at the moment. 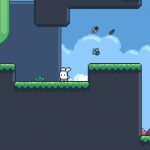 I think the rise of indie studios and the accessibility of platforms and engines means small teams and individuals can make the games they want. The only really problem is keeping it sustainable as Adventure Games are extremely content heavy with a small, but dedicated, fan base. Business wise it would make a lot more sense to make a match 3 game, but that isn’t what interests us! It’s fully voiced, narrative pun-fests that make us giddy! Appolicious: What is it about jolly old, unflappably British, Victorian London that keeps you coming back, fueling such absurd humor? SB: The Victorian era was a time of great change and spawned a lot of memorable characters and stories. They are all ripe for pastiche and are easy to make fun of. It’s also quite interesting to draw parallels with modern life and technology and with how things might have been then. And visually the top hats and sideburns and ridiculously over-complicated contraptions are just funny to look at. Appolicious: Why do you think episodic gaming has become so amenable to adventure gaming? Appolicious: Has there ever been a pun so terrible, that it actually didn’t make it into the games? SB: There have been some jokes that just weren’t funny, certainly. And some characters and scenes that, no matter how much I liked them, just wouldn’t fit into the story. But when it comes to puns if I can make my 8 year-old daughter roll her eyes in disgust then it goes in! Be sure to keep an eye out for our review of The Adventures of Bertram Fiddle: A Bleaker Predicklement, coming soon to a website near you!